Leo, a 40-year-old male gorilla, passed away suddenly on March 29, 2018 after a brief illness. Photo by Dennis Dow/Woodland Park Zoo. 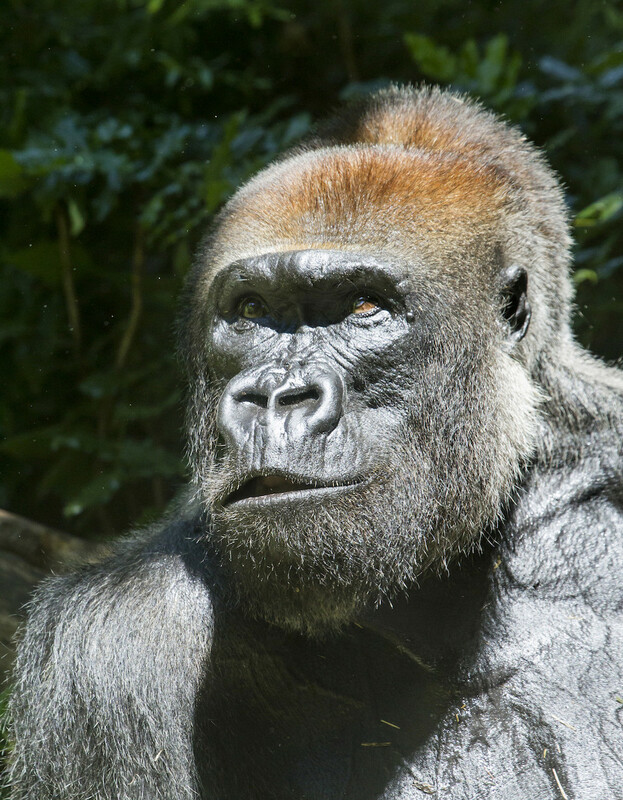 Leonel, a male gorilla fondly called Leo, passed away last night at age 40 after a brief illness. The upper middle-age gorilla had been under a 24-hour care this week. He died in his off-view sleeping den. Leo, on the far right, with members of his family, young Yola and her mother, Nadiri. Photo: Jeremy Dwyer-Lindgren/Woodland Park Zoo. How: Bring any old cellphones, MP3 players, or tablets hanging around your house to the zoo and drop them off at our ECO-CELL stations. 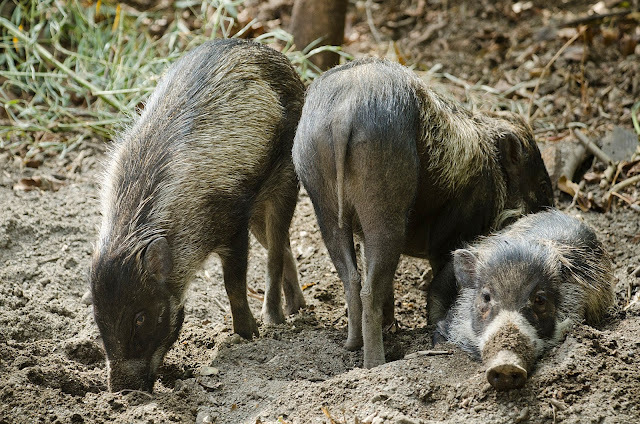 Visayan warty pigs in their mud wallow. Photo by Ryan Hawk, Woodland Park Zoo. Warty pigs may not have the prettiest name, but we think they are beautiful! If you haven't stopped by the Trail of Vines lately, you should. Our three female pigs are especially active in early spring. This critically endangered forest pig is found only in the Visayan islands of the Philippines. The relatively small, grayish-brown pigs get their name from three pairs of fleshy “warts” that develop on the cheeks of adult males, but they are best recognized by the white stripe that runs over the bridge of the nose behind the mouth. 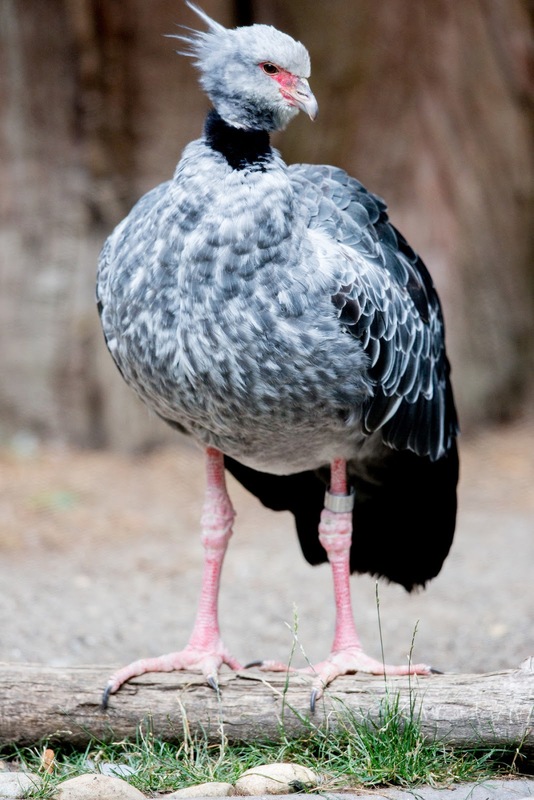 Mature males also grow a stiff, spiky mane of hair tufts that make them look like the punk-rockers of the pig world. 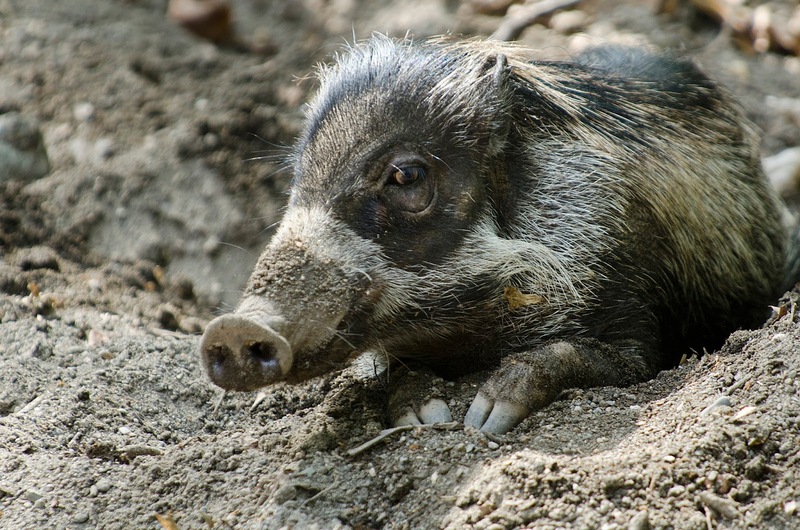 In the wild, Visayan warty pigs used to roam over six different islands of the Philippines, but they’ve lost more than 95% of that habitat due to logging and agriculture. Populations have also dwindled because people hunt them and they come into conflict with farmers as crop-raiding pests. They are only found in remote parts of two islands now. As a result, some local communities and conservationists are coming together to try and protect them from extinction. 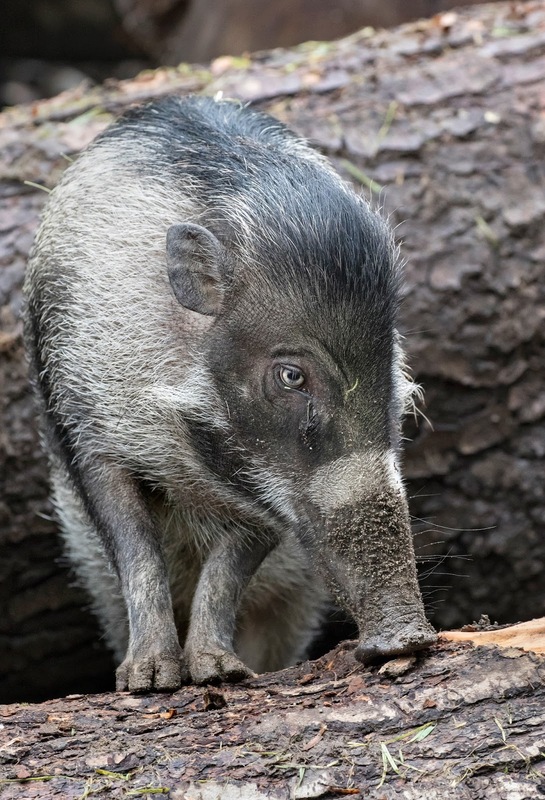 There are only a handful of conservation zoos lucky enough to care for these perfectly precious porcines and Woodland Park Zoo is one of them. Our three “little piggies” are all female: a mother and her two daughters. Guapa, which means “beautiful,” is 14 years old. She shares a broadleaf forest exhibit in the zoo’s Tropical Asia area with her 8-year-old daughters, Magdula and Bulak, which mean “playful” and “flower.” All three of them came to Woodland Park Zoo from Los Angeles in 2012 and each of their names reflects the Philippines origin of their species. Their animal keepers tell us that the girls are all quite social and enjoy grooming each other, scratching against tree trunks and lying in the sun. 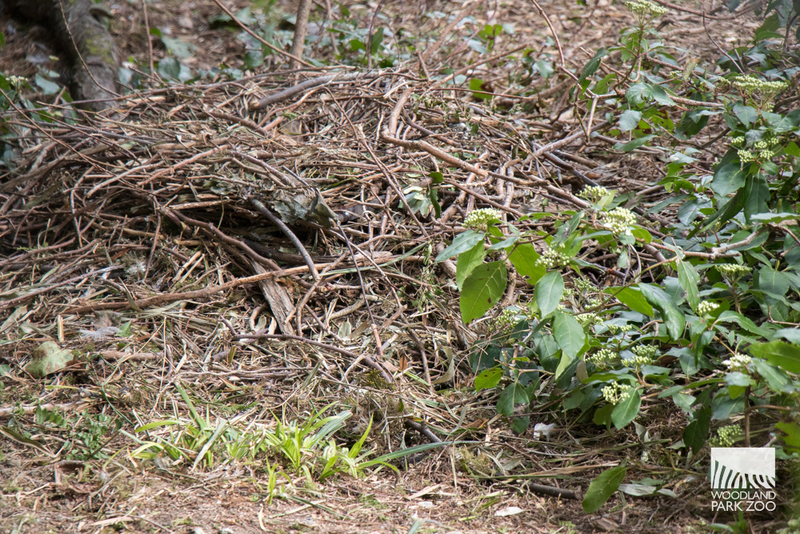 They’re also quick learners and expert foragers, loving to root around the ground. Their muscular forelimbs and sensitive snouts give them great strength and digging power. They’re even great climbers! 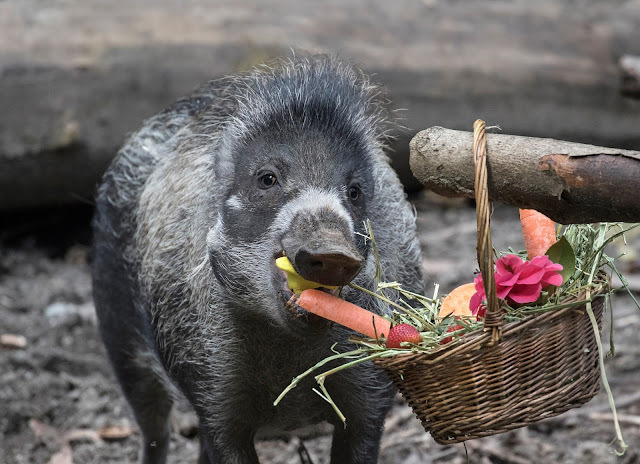 In the wild, all these behaviors help Visayan warty pigs forage for a wide variety of foods, such as fruits, roots, tubers and worms. 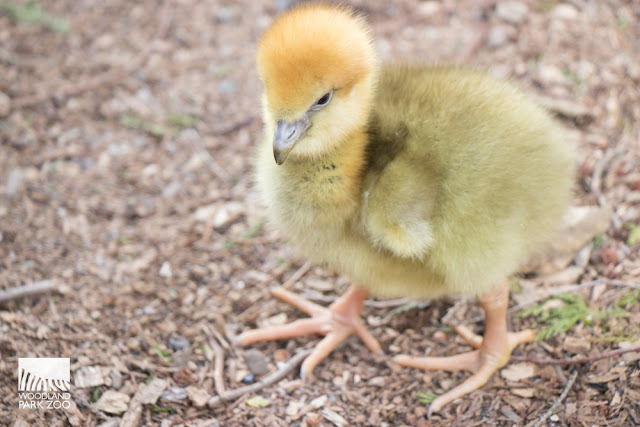 Their diet at Woodland Park Zoo is made up of similar foods including yams, carrots, romaine, alfalfa pellets and spinach—but their keepers say their favorite treats are peanuts and meal worms. A tisket, a tasket a spring-treat filled basket! Photo by Ryan Hawk, Woodland Park Zoo. When not roaming around their exhibit, the pigs can be found sleeping together in a pile of hay and shavings. We’re told they love to nest and even supplement their bedding by adding extra leaves and sticks to the pile before burying themselves inside. Being the good mom that she is, Guapa often blankets her daughters in the bedding at night, tucking them into the pile before climbing in herself. We hope you’ll visit Guapa, Magdula and Bulak the next time you visit Trail of Vines. We know you’ll love these clever girls just as much as we do... warts and all! 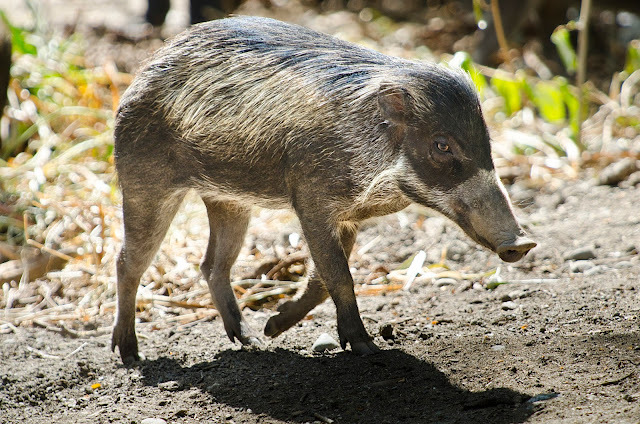 In the wild, Visayan warty pigs used to roam over six different islands of the Philippines, but they’ve lost more than 95% of that habitat due to logging and agriculture. Photo by Ryan Hawk, Woodland Park Zoo. The dominant pig of the group. Like any good mom, she keeps her daughters in line, chasing, snipping and vocalizing to them when they need to be set straight. Smartest of the girls. She has figured out a way to roll her puzzle feeder against the fence so that it stays in place while dispensing food—while her sister and mother roll theirs along the ground. Most unique looking of our pigs. She has lighter eyes than the other two and has a narrower face with a black spot in the middle of the white stripe on her nose. • Pigs live in social groups called sounders, but no, they don’t have scarves. • Pigs do not sweat and, therefore, need to cool off in mud wallows and water. • Males grow sharp tusks as they mature, which are actually modified canine teeth. • Wild pigs all have straight tails; only domestic pigs have curly ones. Your enduring loyalty and support mean you care deeply about Woodland Park Zoo’s future and the value it creates for your family and for the community you love. Since coming aboard at the zoo, I’ve been on a learning tour—listening to the community’s hopes and dreams for this 92-acre oasis, and ways the zoo can shape the future of wildlife conservation. We are all wrestling with a difficult truth: Our impact on this planet is profound and pervasive. In reality, all wildlife and wild places are now in human care. We have been asking ourselves: what more can we, as a modern conservation zoo, do with this responsibility? In a region renowned for its innovative, out-of-the-box thinking and strong environmental ethic, a lot, it turns out. Watch: We're on a Mission, produced by Jeremy Dwyer-Lindgren/Woodland Park Zoo. Last summer, I asked the zoo’s Board of Directors and staff to hold conversations with the community. We invited more than 80,000 people from all over the region, U.S. and globe to share their ideas about the zoo’s future. 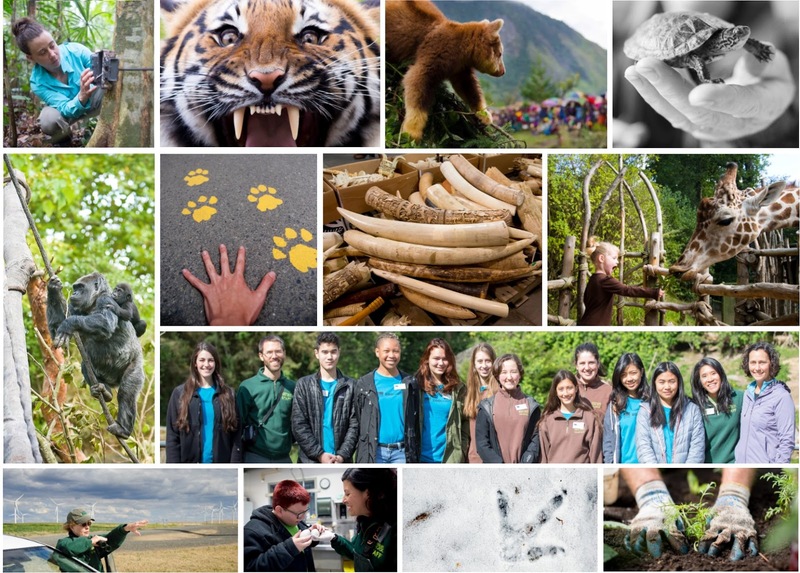 Surveys, focus groups and interviews engaged more than 6,000 diverse people, including zoo members, supporters, volunteers and staff, as well as conservation partners, community and business leaders, teachers, and students. What we learned was energizing. Today, the world is calling on zoos to transform the relationship between people, our planet and all its creatures—to be catalysts for positive social change. That’s a tall order! But we are undaunted. Closer than ever. 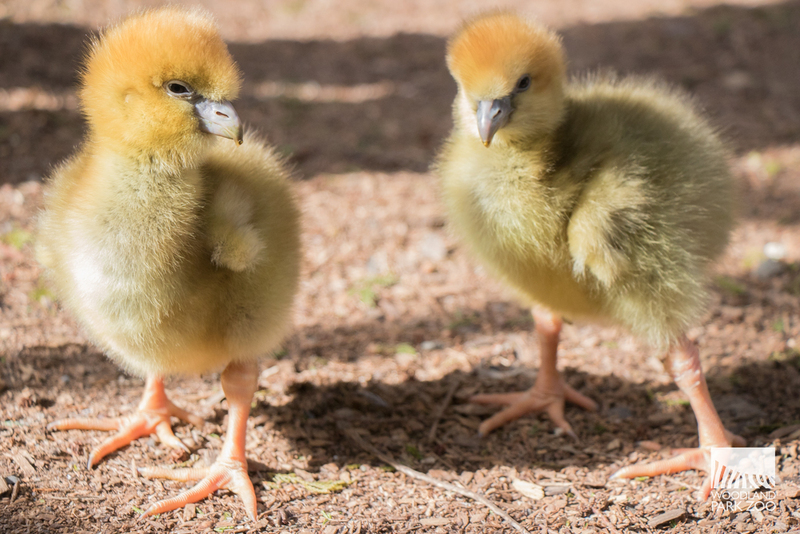 Our newly expanded Ambassador Animal program sparks an emotional connection between animals and people, motivating action to help wildlife and our planet. With you as our guiding light, we’re embarking on an exciting new chapter in Woodland Park Zoo’s storied history, with a more expansive mission and a bold, new strategy. 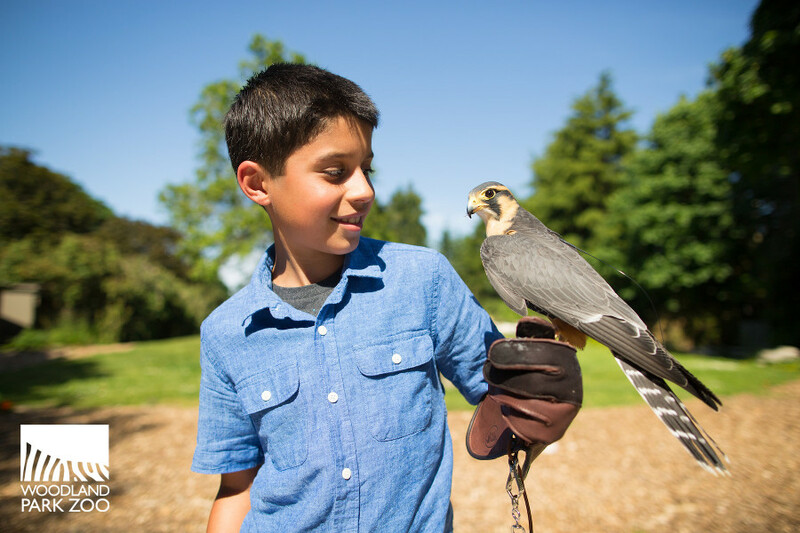 Mission: Woodland Park Zoo saves wildlife and inspires everyone to make conservation a priority in their lives. This succinct declaration of our purpose says Why we are here, What we stand for and Who we are serving. Making conservation everybody’s responsibility requires all hands on deck. Clearly, we are aiming for the largest scale of impact. We humans face our biggest ethical challenge yet: Whether we will choose to live on this planet sustainably, with all its creatures. 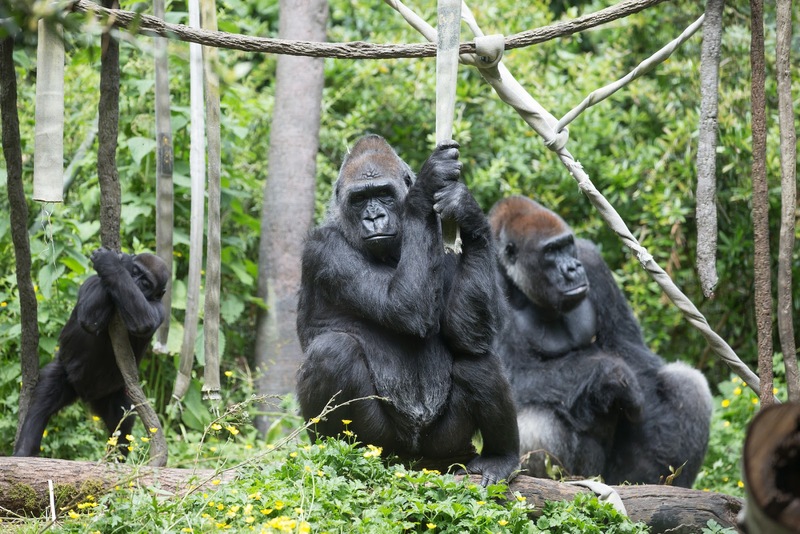 Our urgent call as a leading zoo is to be a megaphone that amplifies a resounding "Yes!" from everyone. We’re confident that with you by our side—our 1.34 million annual guests, the 35 million people touched by our social media channels, and our vast local and global reach—we can mobilize our diverse voices and all our choices to ignite a powerful movement for conservation. Our relevance is no less than the Earth’s future! Three strategic priorities drive and challenge us on this journey. We care. 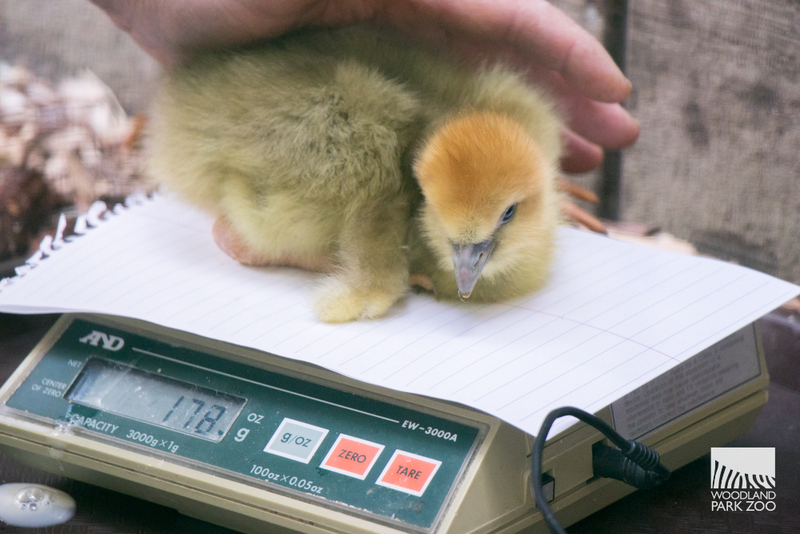 Animal welfare is at the heart of all conservation. It drives everything we do for our 1,200 animals and those we protect in the wild. Our devotion is providing the best care by the best professionals in the world, bar none. Our promise, to you and to our animals, is to push the standards of excellence and exemplify the highest quality of transparent and ethical care. We will show our guests the reasons to care and intimately connect them to our compassion and expertise. 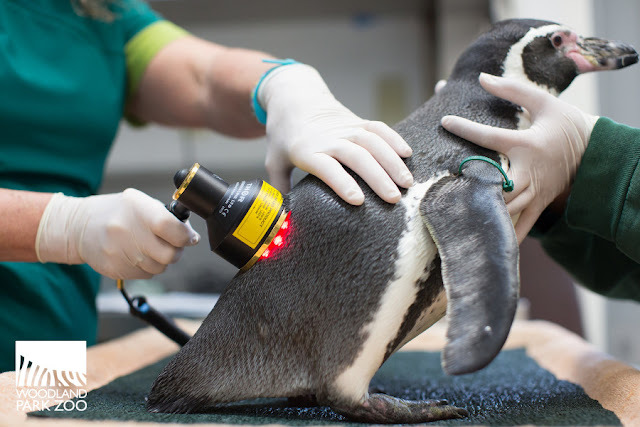 Laser therapy fit for a penguin. Excellent care means our animals live long, vibrant lives. Your zoo is one of the first in the U.S. to integrate physical rehabilitation into our comprehensive animal wellness program, reducing the need for invasive procedures and ensuring our animals thrive at every age. We inspire. Extraordinary experiences spark empathy for animals. They strengthen our bonds with other species and with each other. Authentic, deeply emotional connections with animals move people to take action! We commit to creating the most powerful zoo experiences possible, full of empathy, discovery and hope. And, most importantly, to be welcoming to people of all backgrounds and abilities. Only with a full diversity of voices and interests at the table can we accelerate lasting solutions for wildlife and human co-existence. This is our promise to the next generation. If anyone can, Seattle Youth CAN! (Seattle Youth Climate Action Network) Through powerful, life-changing experiences with animals, your zoo is empowering the next generation of conservation and science leaders to rise up and build a sustainable future for wildlife and people. to empower a movement for conservation. We empower. Wildlife conservation needs us to join hands and multiply our effect exponentially so that we can save more species and more habitats here and around the world. With 35 conservation partners locally and globally, and thousands of collaborators in schools, businesses, neighborhoods and agencies, our impact is palpable. Still, we must do more. Building a new relationship with nature means changing minds and hearts in novel, cutting-edge ways. While nothing replaces the wonder and inspiration sparked by up-close animal experiences, our region’s top high-tech partners are improving our wildlife conservation research, helping to amplify our conservation story, and to engage and activate millions more people in protection and policy solutions. Our huge, passionate audience is diving in to reach the goal with us. Otter Spotter. 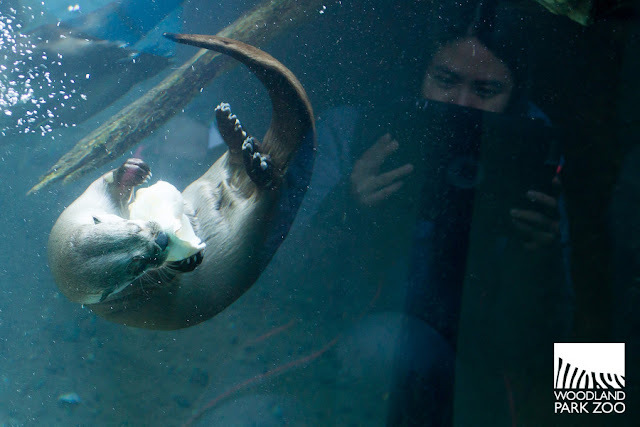 In the reflection, a ZooCorps teen volunteer uses a digital tablet to enter behavioral observations into the zoo's Otter Spotter citizen science database. The research project, powered by community participation, tracks otter activity across Washington to monitor populations across a gradient, from polluted urban waterways to pristine protected lands. We see a brighter future for animals and people. We see them thriving together. We see hope for a cause worth committing our lives to. And we continue to listen. The world is calling on zoos to ignite a powerful movement for conservation by uniting all our voices and all our choices for the cause. YOU are at the heart of it. 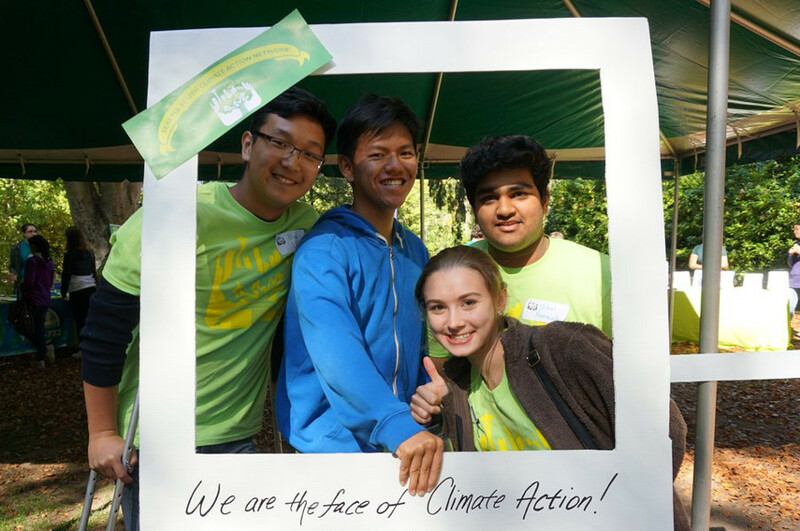 With you on our team, our collective impact will be exponential. PS: Already, momentum and early successes are mounting. I’m delighted to share our 2017 Impact Report, highlighting how you and thousands of people like you are making conservation a priority in your lives and helping to ignite this powerful movement. 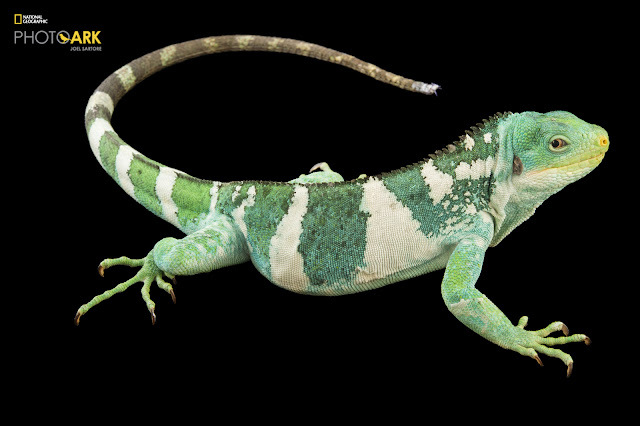 If you've seen Joel Sartore's images before, you know just how captivating a single photograph can be. Whoa. 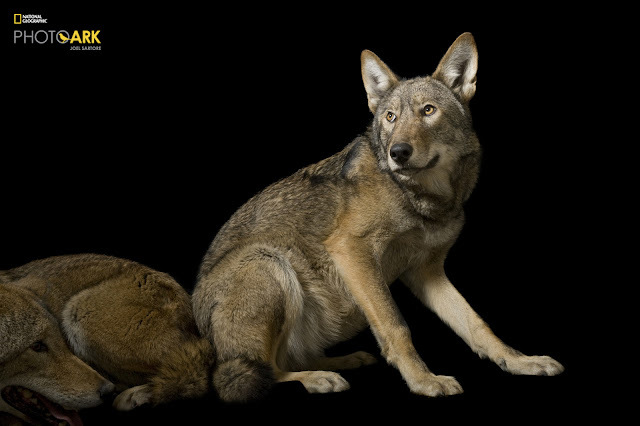 Woodland Park Zoo will host the traveling exhibition, “National Geographic Photo Ark,” from April 20 through October 7. The National Geographic Photo Ark is an ambitious project committed to documenting every species in zoos, aquariums and animal rescue centers—inspiring people not just to care, but also to help protect these animals for future generations. 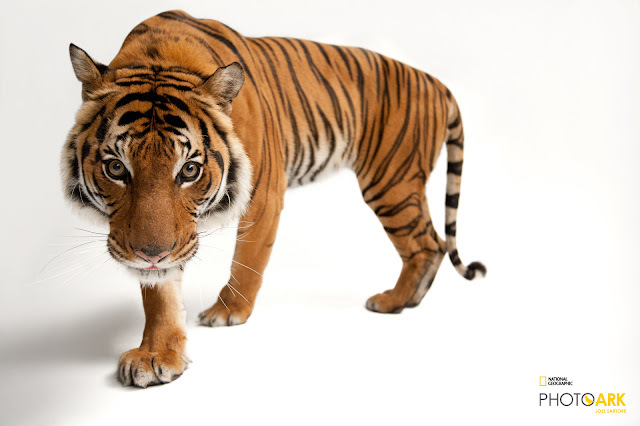 Featuring the work of National Geographic photographer and Fellow Joel Sartore, National Geographic is showcasing this important project through multiple platforms. This exhibition is organized by the National Geographic Society and Omaha’s Henry Doorly Zoo and Aquarium. A compelling and visually powerful project, the National Geographic Photo Ark aims to photograph species before it is too late. In addition to creating an archival record for generations to come, this project is a hopeful platform for conservation and shines a light on individuals and organizations working to preserve species around the world. 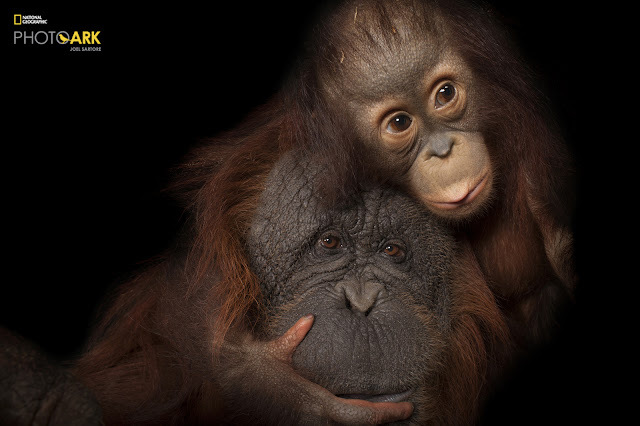 The National Geographic Photo Ark exhibition at Woodland Park Zoo will highlight 56 of Sartore’s more than 50 most compelling images and provide guests with the extraordinary opportunity to come face to face with animals from the National Geographic Photo Ark. The 8’ tall x 6’ wide portraits will be displayed across the zoo’s 92 acres. A diversity of mammal, reptile, and bird species will be represented including animals currently living at the zoo such as Matschie’s tree kangaroo, Western pond turtle, Sumatran orangutan, snow leopard, Humboldt penguin and greater one-horned rhino (coming in May!). Guests will learn about the project, its mission, and Woodland Park Zoo’s conservation initiatives in the Pacific Northwest and around the world. 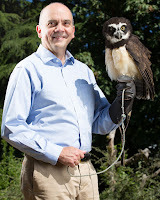 Sartore has worked in more than 250 zoos, aquariums and animal rescue centers around the world. He estimates the completed National Geographic Photo Ark will include portraits of more than 12,000 species representing several animal classes, including birds, fish, mammals, reptiles, amphibians and invertebrates. In what will be the largest single archive of studio-quality photographs of biodiversity ever, the National Geographic Photo Ark continues to move toward its goal of documenting these 12,000 species, thanks in part to Sartore’s enduring relationships with many of the world’s zoos and aquariums. These iconic portraits have captured the imagination of people around the world and have even been projected on the Empire State Building and St. Peter’s Basilica in Rome. A pair of red wolves, Canis rufus gregoryi, at the Great Plains Zoo. 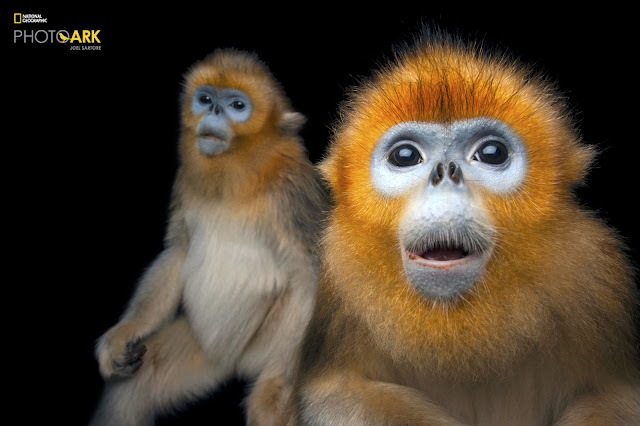 © Photo by Joel Sartore/National Geographic Photo Ark. “We are very excited to present the National Geographic Photo Ark to our community. This exhibition, along with the marvelous animals in our care at the zoo, is another powerful reminder there is a real urgency to unite all our choices and all our voices to help save every animal remaining on our planet. 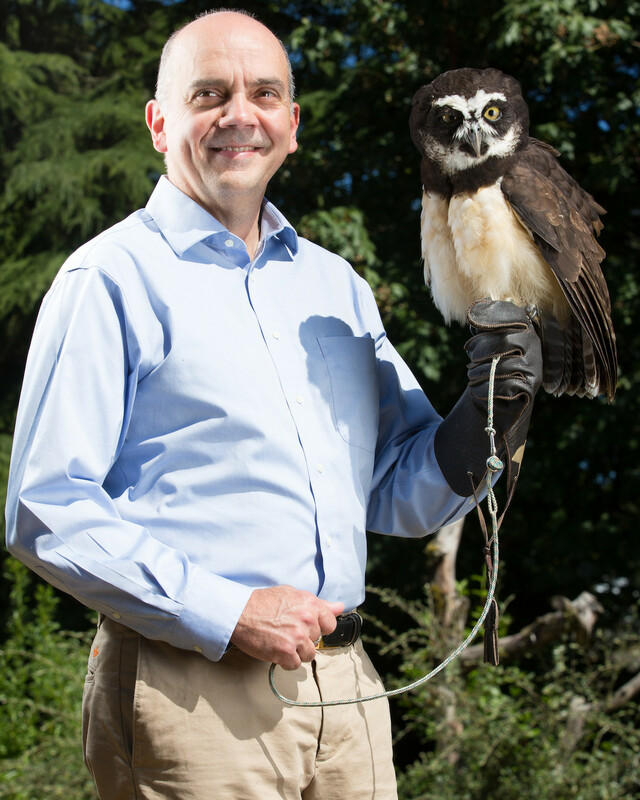 Through this extraordinary experience, our 1.3 million guests can come to understand there is hope for collective impact by empowering ourselves to ignite a broad movement for conservation,” says Woodland Park Zoo President and CEO Alejandro Grajal. The National Geographic Photo Ark exhibition at Woodland Park Zoo is free with zoo admission. Visit www.zoo.org to plan your next visit and be sure to check out the exhibit April 20 through October 7!